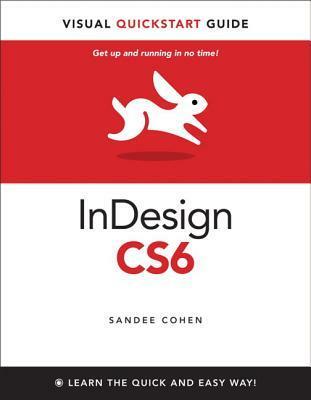 "InDesign CS6: Visual QuickStart Guide" highlights the important new features, as well as covering the ones readers have relied on in previous versions of InDesign. Complete coverage of InDesign CS6's new features includes: tools for easily outputting to various devices such as phones and notebooks, including Alternate Layouts, Liquid Layouts, and new content management tools; linked content tools, too more easily allow repurposing of content; PDF forms creation feature, including extensive library resources; enhanced selection and drawing tools. Users will learn how to create and automate documents, import and style text and objects, manage long documents, export files for a wide variety of purposes, and much more. 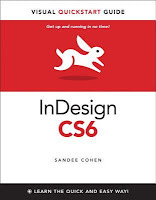 I recently purchased the InDesign software and, while I could work my way around it a fair bit, I wanted a book to teach me some of those extra cool options. This is the one I picked after looking at several and reading reviews and I reckon I made a good choice. This book is easy to read and understand and it takes you through things step by step, making it perfect for a novice like me. Having the video tutorial and e-book options is also a bonus and I'm sure I'll make use of those in due course. I look forward to trying out some of the things I've been reading about soon.